Musici­ans of variou­s backgr­ounds and age groups gather to create music. 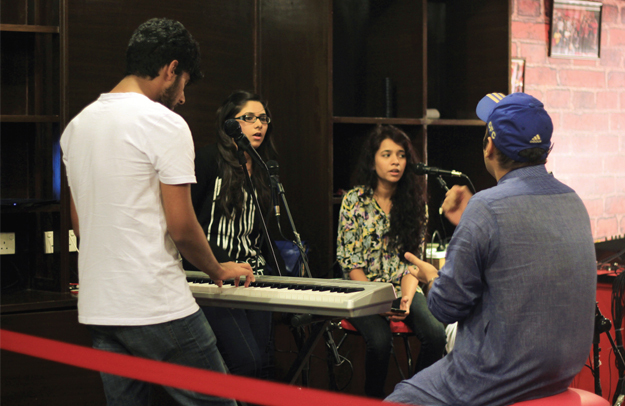 The basement at the Nescafe headquarters has blossomed into a neat musical retreat where aspiring musicians of different backgrounds and age groups gather to create nothing but inspired tunes and compositions. It’s the perfect getaway or hideout for talent as the space is packed with instruments, recording and music equipment. 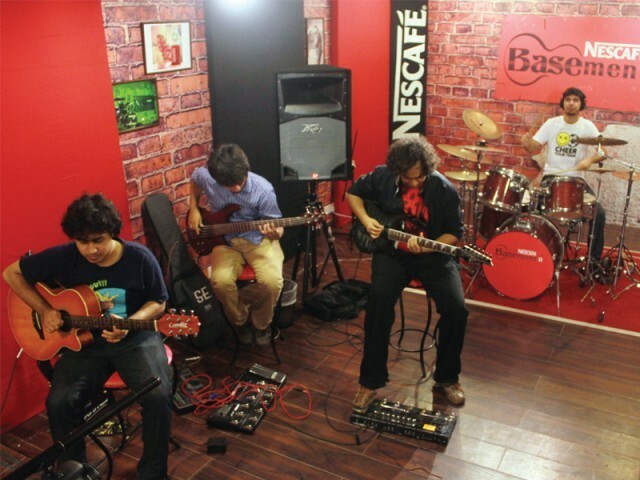 Led by Call’s Zulfiqar Jabbar Khan aka Xulfi, the second season of Nescafe Basement has finally kicked off. Out of 1,253 young artists who auditioned this time compared to only 98 last season, 19 were selected (14 selected last season) from major cities across the country. The jamming sessions have already resulted in the recording of 14 tracks, and continue to provide opportunities to produce all types of music. The platform provides musicians with opportunities to get involved in serious projects, Hussain adds. Two of his original compositions were converted into singles last year. Published in The Express Tribune, September 20th, 2013. 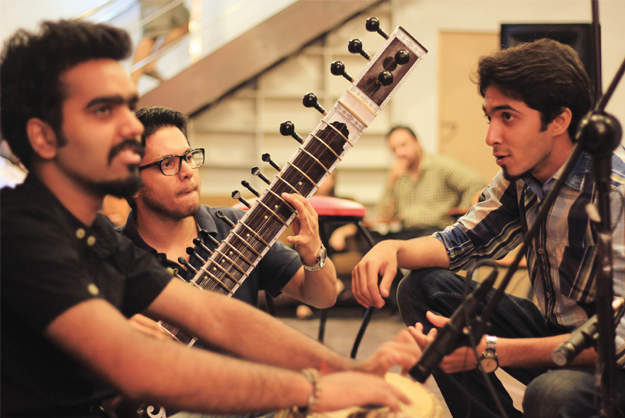 Five-day festival titled “Jashan-e-Khusro” will begin at Kuch Khaas (KK) on Wednesday. The few large wholesalers left say the business is no longer profitable. Children enjoyed the background music of the films. Masood Paracha’s demise on August 18 ended his 35-year-long affair with music, but his store remains open.